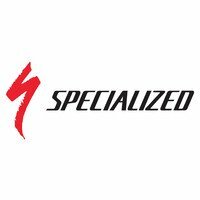 Specialized have been creating Turbo electric bikes since 2012 and have been refining their designs ever since. Brose are a high-end automotive parts company based in Berlin. Their 90Nm torque motor unit has the best power to weight ratio in the industry. For 2019, Brose have engineered an internal belt drive design, it does this without added vibration for the smoothest and most silent ride possible. Tyres Ground Control, GRID casing, GRIPTON® compound, 2Bliss Ready, 29x2.3"